Last week I told you about Sinatra. This week I want you to meet his BFF (best furry friend) Scotty. 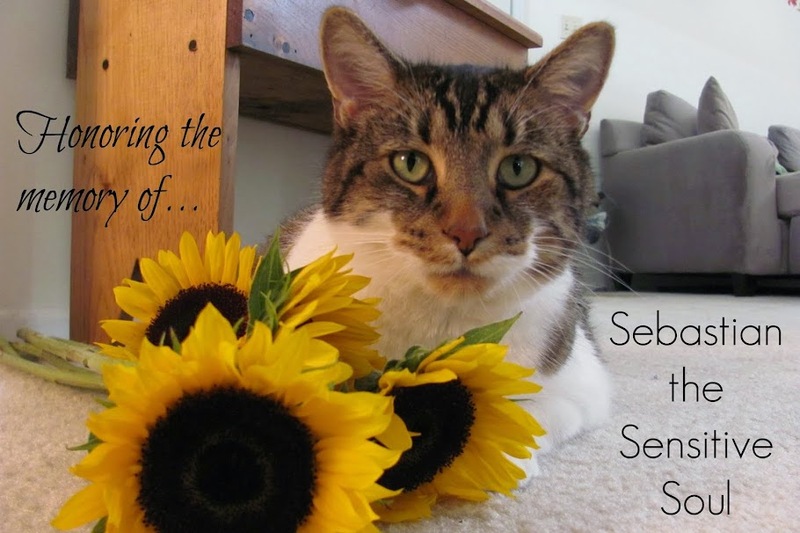 Like Sinatra, Scotty is FIV positive. He spent some time on the streets and you can definitely tell by looking at him. His ears are in a permanent "airplane ear" position and he's missing the fur on the backs of them, but it gives him character! And that Elvis lip? Mama can't get enough of that! Scotty is definitely a lap cat and likes to be petted. He'll sit on your lap as long as you'll let him. Scotty is 9 years old, but he plays like a kitten! One of his favorite toys is actually Sinatra's tail. He's also a champion jingle-ball chaser. He loves other cats and is friends with just about any cat he comes across. Of course, Sinatra is his favorite. 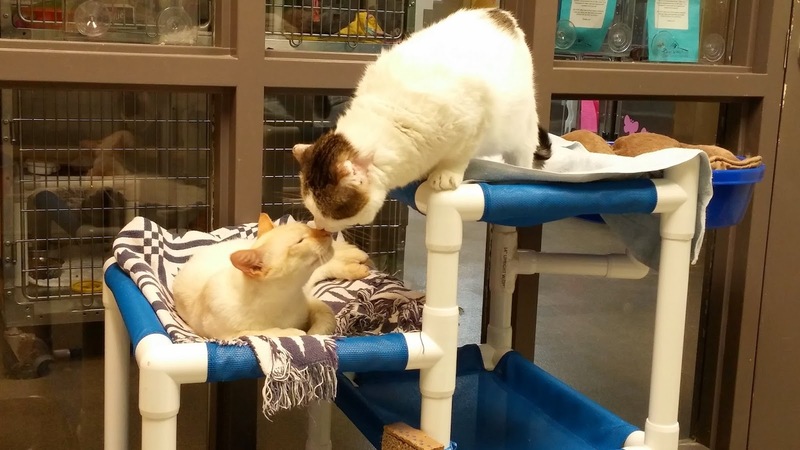 They don't need to go home together, but Scotty needs a cat friend, so why not adopt them both? Photo collage by Catherine Sherman. If you are interested in making Scotty and Sinatra party of your family, now is the time to adopt. Wayside Waifs in Kansas City is running a great special and these guys can be adopted for just $10 each! What a steal! 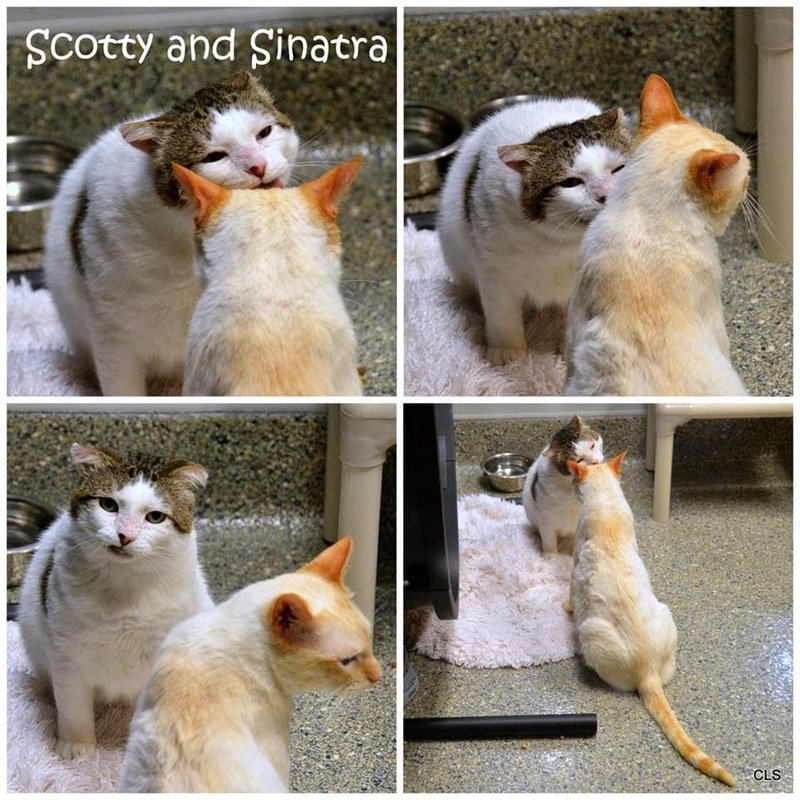 Scotty and Sinatra were adopted together yesterday! Cat said, "I am not a friend, and I am not a servant. I am the Cat who walks by himself, and I wish to come into your Cave." 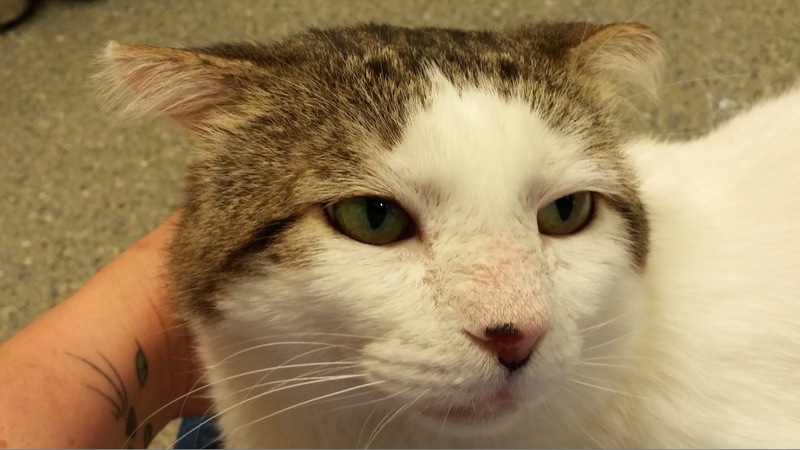 Mama met a very handsome boy at Wayside Waifs last night. 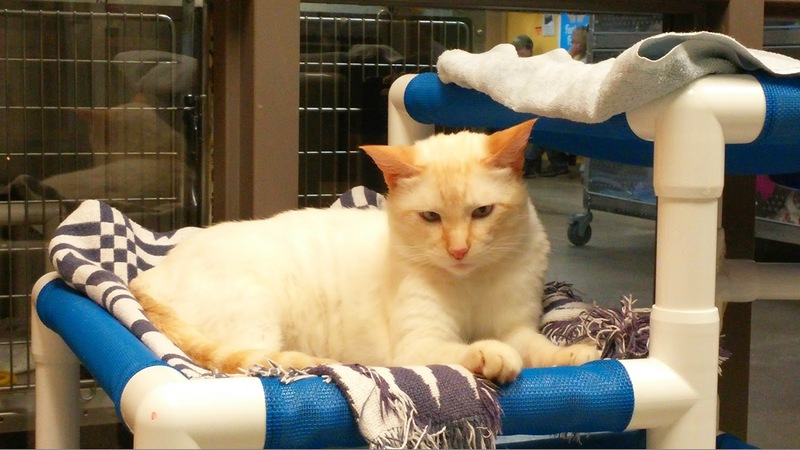 His name is Sinatra and he's a flame-point Siamese. Talk about Old Blue Eyes! This guy has some peepers! 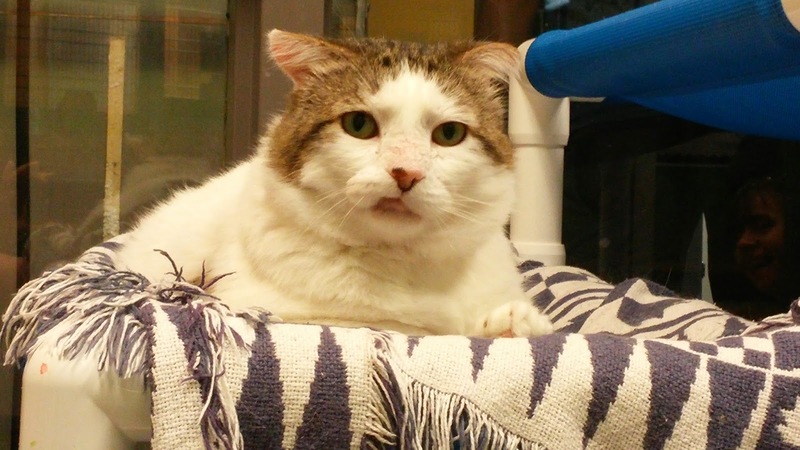 Sinatra, a youngun' at 2 years old, came to Wayside from another shelter. He has had some issues with skin allergies and ended up with a few hotspots. Now that the allergies have cleared up, his fur is filling in where it had been kind of thin. Sinatra is also FIV positive, but like I have explained before, FIV isn't a big issue. 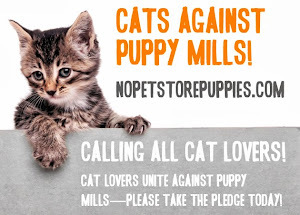 As long as a kitty has regular veterinary check-ups and is kept healthy, he can live a long, normal life. 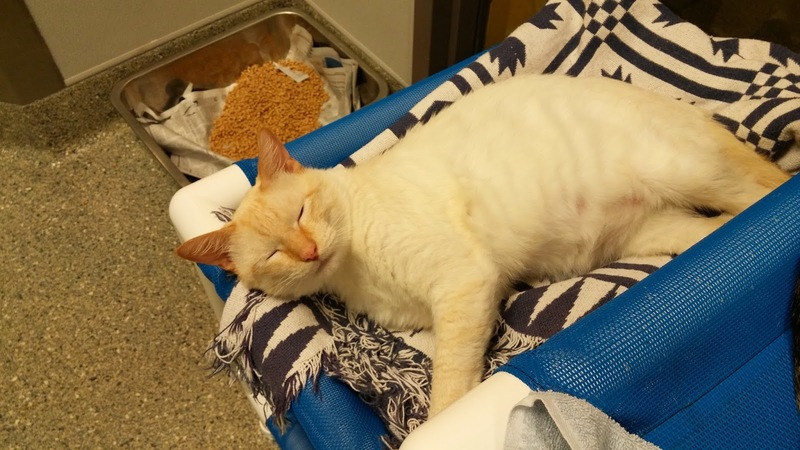 If you are interested in adopting Sinatra, you should probably act fast. A kitty that handsome won't last long! Cats sleep fat and walk thin. Over, pulling their ribs in.